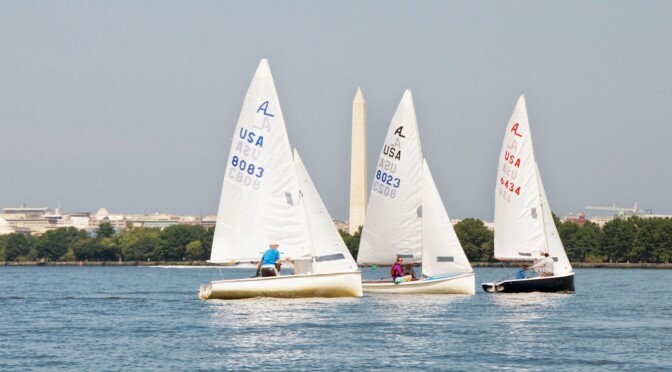 We had a fantastic turnout for the 2015 PRSA President’s Cup Regatta: 58 boats, over 130 sailors, and nearly 30 people on the Sunday spectator cruise aboard the American Spirit! Final results are posted here and a more detailed writeup of the action along with links to photos will be coming soon. A huge thank-you to all of the volunteers that made the event possible, including Lee for all of her hard work with providing food for so many sailors, Jim for beverage duty, Lisa-Marie for registration and merchandise management, Nabeel for managing equipment and scoring, and not least our fantastic Race Committee volunteers (Farley as PRO on the lower course, and Rolf Zeisler and his crew on the upper course). Thank you all around–we couldn’t have hosted such a fantastic regatta without you!